I've always had a penchant for fashion, writing and Jimmy Choos: an outstanding candidate to be the OntheSOS features writer. Currently studying a degree in B.Media LLB at Macquarie University, Sydney - I spend most of my time writing essays and exams and snacking on rice crackers. When I'm free from the shackles of uni, you'll see my eyes glinting through a fashion store. Searching for the perfect Christmas Gift for your best friend, teenage sister and your man? 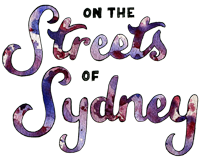 It’s no easy task, but us here at the On The Streets Of Sydney office have compiled a guide to make it just that little bit easier for you.